A Happy Accident: whilst I was cleaning up after playing this afternoon I pulled off this background just to clean my gelliplate, I was about to throw it away and looked again because it reminded me of a fuschia plant. 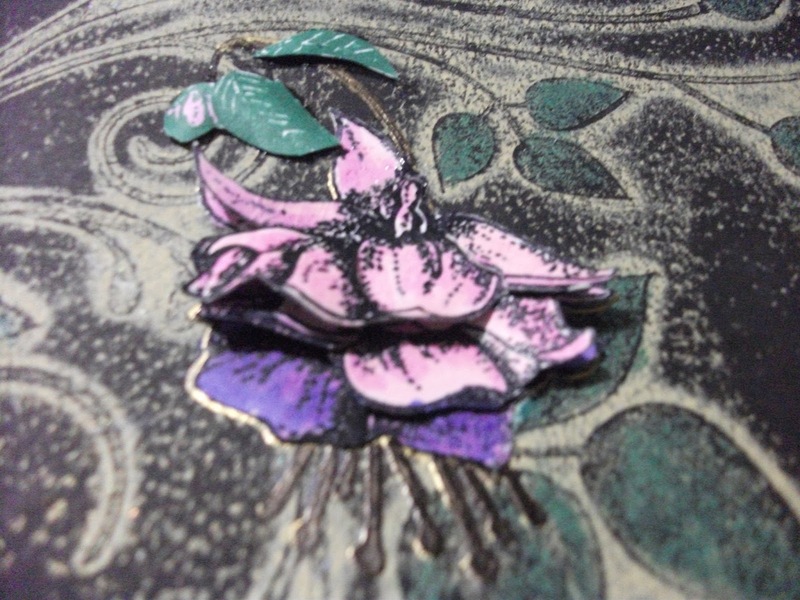 It just so happens that Clarity have a really pretty fuchsia flower & bud stamp. 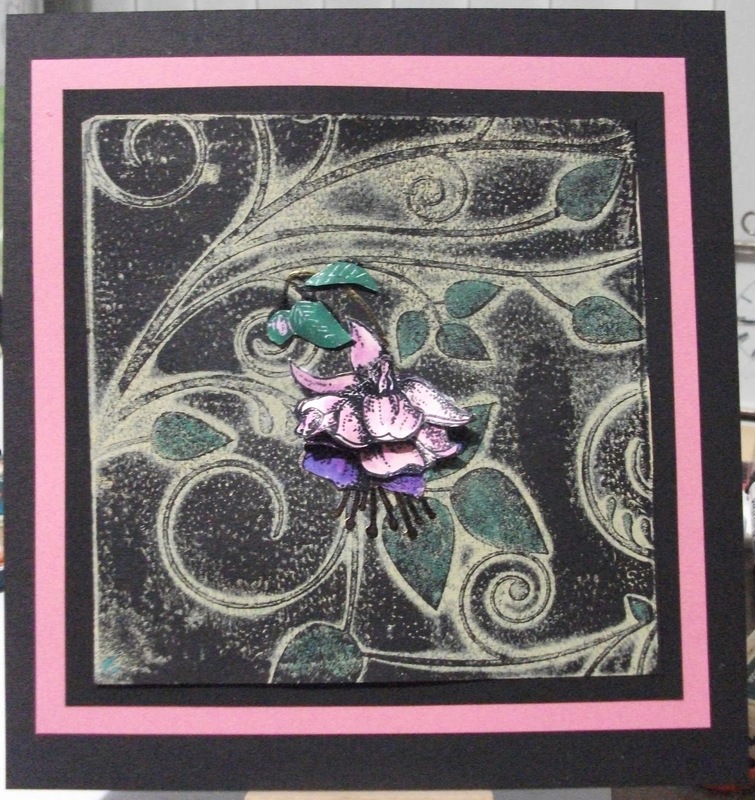 I stamped the flower in position directly onto the background in black Archival then embossed it with clear powder so that I wouldn't have to cut around the stamens and stem. Then I stamped the flower 3 times again onto white card so that I could decoupage it, I also stamped the little bud and cut it out.